Search all Monterey Peninsula MLS listings of Real Estate for sale including Carmel real estate, Pebble Beach real estate, Carmel Valley real estate, Pacific Grove real estate, Monterey real estate, Marina real estate, Seaside real estate and the HWY 68 Corridor real estate, on one easy to use website. Please watch the short video below to show you how this website can help you find the perfect Monterey peninsula home. 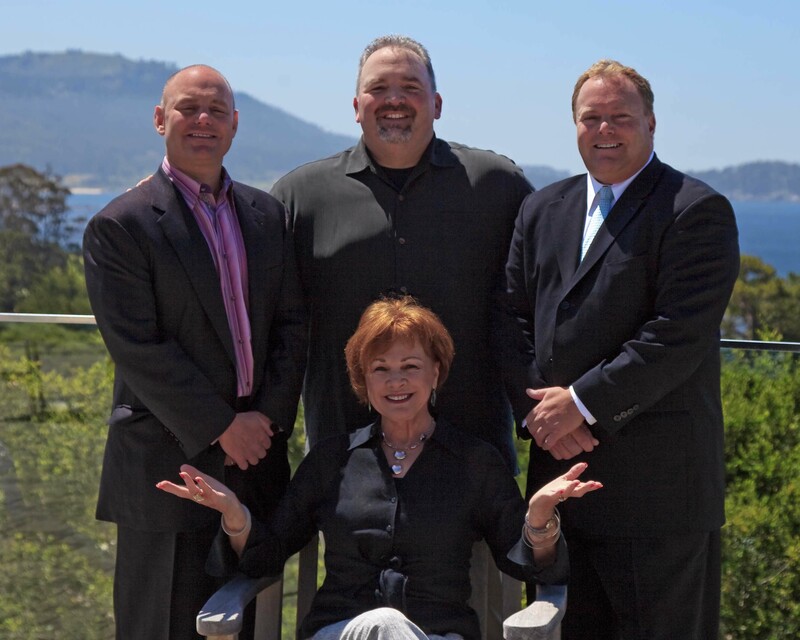 Real Estate on the Monterey Peninsula is a passion for our Keller Williams Coastal Estates team. 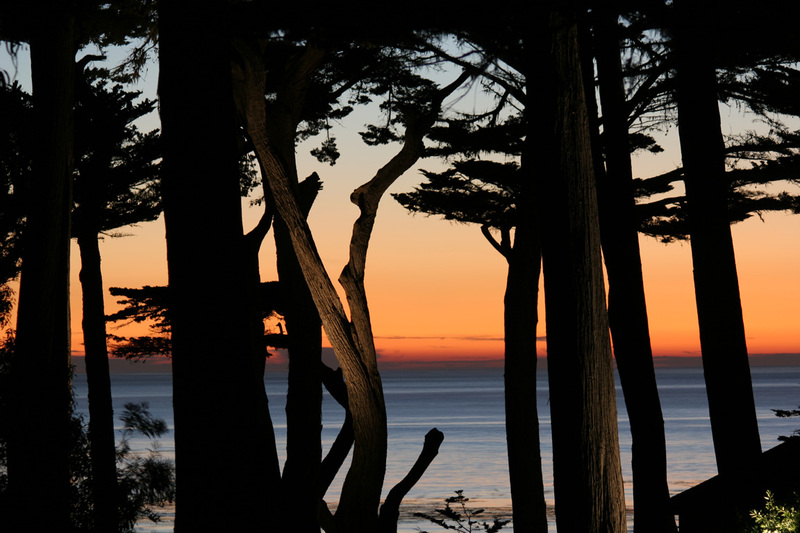 We all live work and play on the Monterey Peninsula and have all lived in homes in Pebble Beach, Carmel, Pacific Grove, Monterey, Carmel Valley and the Hwy 68 Corridor. Each real estate agent on our team knows the Monterey peninsula and Monterey peninsula real estate like the back of our hands and have experienced every aspect of living in this wonderful area. This experience makes us uniquely qualified real estate agents to find you the perfect home that fits your physical and emotional needs as well as your financial requirements. Our Monterey peninsula real estate website allows you to search all active real estate listings in every Monterey Peninsula city including Carmel, Carmel Valley, Pacific Grove, Pebble Beach, Monterey and the HWY 68 Corridor. The Search Monterey Peninsula Homes website is lightning fast and easy to use and completely mobile friendly! 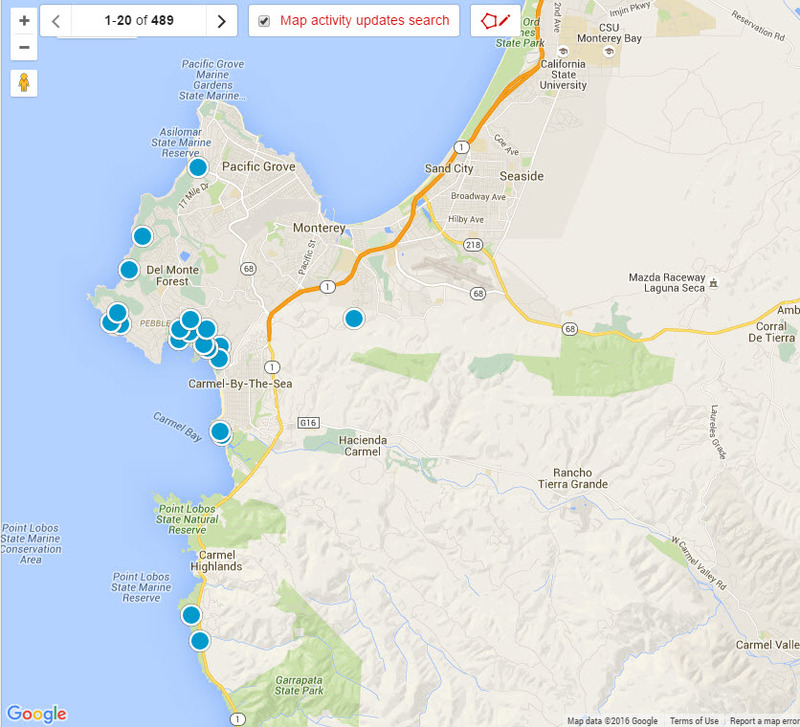 It doesnt require you to use a real estate app to search all of the homes on the Monterey Peninsula. Www.SearchMontereyPeninsulaHomes.com allows you to search Monterey peninsula real estate with various search terms such as: million dollar real estate, waterfront real estate, ocean view real estate, Victorian homes for sale, Craftsman homes for sale, golf course homes for sale and luxury real estate plus others. Featuring the finest Monterey Peninsula homes for sale, Condos for sale and even vacant land for sale, in the cities of Monterey, Pebble Beach, Pacific Grove, Carmel, Carmel Valley and the HWY 68 Corridor, "Search Monterey Peninsula Homes" breaks down Monterey Peninsula cities in ways that makes searching for homes much easier than just searching by the city. In addition, our website breaks each city into geographical areas that make sense. Search only Carmel’s Golden Rectangle homes, Pacific Grove Retreat Area Homes, Pebble Beach Lodge Area Homes, Quail Lodge Area Homes, just to name a few. There are hundreds of preset home searches that we developed based on how our home buyers search for property here on the Monterey Peninsula. Selling your Monterey Peninsula Home? Previously with Coldwell Banker for over 22 years, Keller Williams Monterey Peninsula Home Team is a highly qualified team of professionals with over 100 years of combined experience! We are highly committed to providing our clients with the highest level of service in the real estate industry here on the Monterey Peninsula. If you are looking for a highly motivated team of honest, friendly, hardworking and motivated real estate agents that put their clients in front of themselves, contact us today! Real Estate on the Monterey Peninsula is our business, and we will net you $1000’s more when selling your home based on our local market knowledge, marketing tactics and negotiating experience. We specialize in selling Pebble Beach, Carmel, Carmel Valley, Pacific Grove, Hwy 68 Corridor and Monterey homes. This site is the Monterey Peninsula’s best real estate resource on the internet and once you sign up you will see why. We have a fast connection to the local Monterey County MLS database. The site is uncluttered and not bloated like the national real estate portals, which makes it free to deliver to you at lightning fast speeds, only the latest active Monterey Peninsula real estate listings plus all Monterey Peninsula Homes for sale in each of the Monterey Peninsula’s unique cities including Carmel, Pebble Beach, Pacific Grove, Monterey, Carmel Valley and the HWY 68 Corridor. Receive Daily Email Alerts of new Monterey Peninsula real estate listings that meet your home search criteria. Saving multiple searches with a unique search names is easy and you can save favorite properties to follow or check on later. You can easily share your properties with friends and even change how often you receive new listings. Finally you can access your account anytime and it even functions and looks great on tablet or smartphone! In today’s new world of bank loans, it is crucial to get preapproved for home financing when purchasing a home or condo. Sellers are requiring this in order to even put an offer in on most properties. Getting pre-approved is an absolute on any Foreclosures or Short Sales. A pre-approval letter will put you in a position of strength when negotiating with a seller and you will be in the best position to pounce on your dream home if it becomes available. To learn more about buying a home here in California and the Monterey Peninsula go to our buyers section. Looking for a Monterey Peninsula Investment? The Monterey Peninsula Home Team is made up of Monterey Peninsula Realtors that service the cities of Carmel, Pebble Beach, Pacific Grove, Monterey, Carmel Valley and the HWY 68 Corridor. Our team can help you find a Monterey Peninsula Foreclosure, vacation home, condo or townhome. Our team can provide you with property information about Monterey Peninsula luxury real estate, waterfront homes, short sale properties and even new construction homes, although they are rare here. A second home used as a Monterey Peninsula vacation rental can be a great real estate investment. To your right you will find links to our latest blog posts including information about living on the Monterey Peninsula and should help you when researching our beautiful area. Do we have Monterey Peninsula Real Estate Statistics! We have one of the most comprehensive online set of Monterey County Real estate Statistics available anywhere. Each month we report on all Monterey County cities including the Monterey Peninsula Cities of Carmel, Carmel Valley, Pacific Grove, Pebble Beach, Monterey, Big Sur, Seaside, Marina and the Hwy 68 Corridor. Each of these cities can be broken down into neighborhood statistics as well, so you can get very detailed if you want. Monthly reports include Number of Active Listings, Median Price, Average Price, No. of Sales, Pending Properties, Active Foreclosures, Foreclosures Sold, Active Short Sales, Short Sales Sold, Sales Price vs. List Price and Days on Market. Graphs include 3 Month Moving Average for Sales and Price, Sales breakdown by type (normal, short sale and foreclosure), Market Momentum, Days of Inventory, Year to date sales and Sales Price to List Price Ratio. If you want to study the numbers before you make a decision to purchase a home for sale on the Monterey Peninsula, you better stop here first! Real Estate is a passion for all of the Keller Williams Coastal Estates real estate agents on our team. Whether you are buying or selling real estate in Carmel, Carmel Highlands, Carmel Valley, Pebble Beach, Pacific Grove, Monterey, Del Rey Oaks, Seaside, Marina or the Salinas/Monterey Hwy (HWY 68 Corridor), you will find that Keller Williams Monterey Peninsula Home Team real estate agents are always on your side. All of our agents have a long history with the Monterey Peninsuls and most of us grew up here as well. Now as Monterey Peninsula real estate agents, we live, work and play in and around the peninsula cities. Whether it is eating at great restaurants, shopping or just taking stroll down along one of the great coastal walkways, we all love living here and appreciate all the Monterey Peninsula has to offer. All of these years of living on the Monterey Peninsula and the surrounding areas make us uniquely qualified as real estate agents to find you the perfect home that fits your physical and emotional needs as well as your financial requirements. The 10 latest Monterey Peninsula real estate listings of homes for sale listed on the MLS (Multiple Listing Service) on the Monterey Peninsula, CA are below. For a full list of everything that is available in any Monterey Peninsula city you can build an advanced search or contact us and we can do it for you. Charming home with four bedrooms, two baths, and hardwood floors. Located close to shopping. Large back yard and lots of parking.